Parenteral methotrexate (25 mg/week) was not superior to placebo in preventing relapses of ulcerative colitis(UC) in patients who achieved steroid-free response during induction therapy, reports a new study published in the journal Gastroenterology. Parenteral methotrexate induces clinical remission but not the endoscopic improvement of mucosal inflammation in patients with ulcerative colitis (UC). Hans Herfarth and associates performed a randomized, placebo-controlled trial to assess the efficacy of parenteral methotrexate in maintaining steroid-free response or remission in patients with UC following induction therapy with methotrexate and steroids. The researchers performed a 48-week trial involving 179 patients with active UC despite previous conventional or biological therapy. The study comprised a 16-week open-label methotrexate induction period followed by a 32-week double-blind placebo-controlled maintenance period. Patients were given subcutaneous methotrexate (25 mg/week) and a 12-week steroid taper. At week 16, steroid-free responders were randomly assigned to groups that either continued methotrexate (25 mg/week, n=44) or were given placebo (n=40) until week 48. The primary outcome was to compare the efficacy of treatment by analyzing the proportion of patients who remained relapse-free and were in remission at week 48 without the use of steroids or other medications to control disease activity. Ninety-one patients (51%) achieved the response at week 16, and 84 patients were included in the maintenance period study. 60% of patients in the placebo group (24/40) and 66% in the methotrexate group (29/44) had a relapse of UC. At week 48, 30% of patients in the placebo group (12/40) and 27% of patients in the methotrexate group (12/44) were in steroid-free clinical remission without the need for additional therapies. No new safety signals for methotrexate were detected. 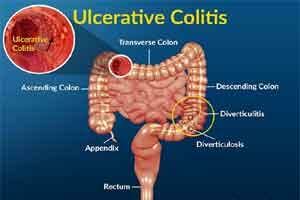 The authors concluded that there was no significant difference in remission or relapse rates of ulcerative colitis between the parenteral methotrexate and placebo cohorts.